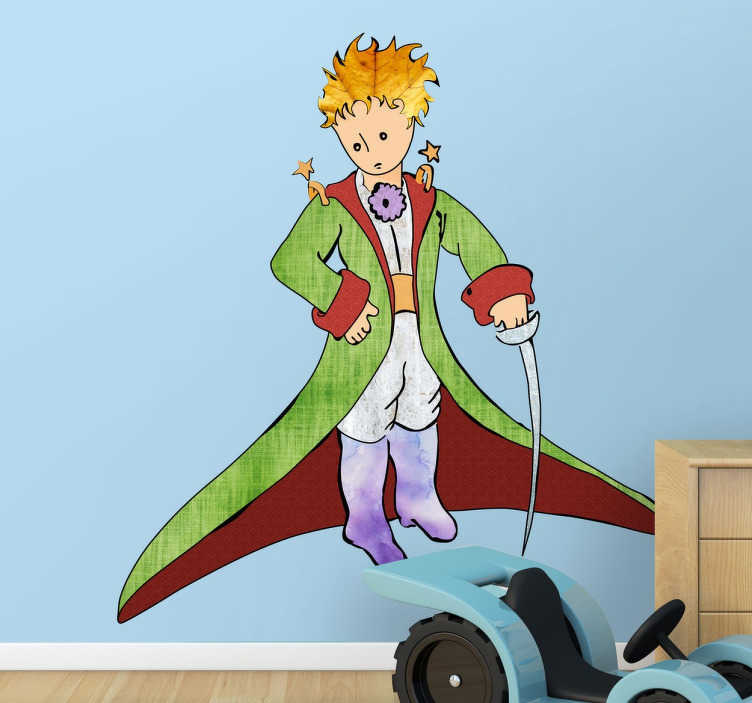 Decorative little prince wall sticker. If you liked this story by Antoine Saint-Exupéry when you were little and you need something to decorate your child's bedroom or nursery. Children's wall decal your children will begin to imagine the story you are telling them at the same time you decorate their room and create a unique space that will amaze everyone that visits. Combine this sticker with other text vinyl of this famous French writer and fill those blank walls once and for all. These vinyl adhesives are easy to apply and show no air bubbles once placed.